Da Couch Tomato: Doctor Who. Series 7, Episode 6: "The Bells of Saint John"
Doctor Who. Series 7, Episode 6: "The Bells of Saint John"
In the last episode of Doctor Who, we saw the debut of the new opening credits, new TARDIS interior, and new companion. 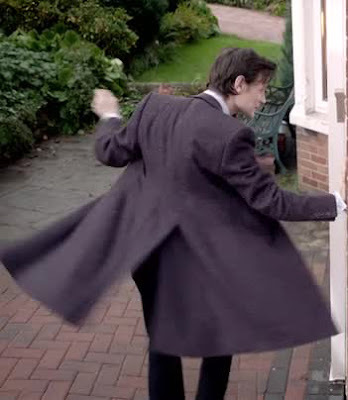 And now we see the debut of the Doctor’s new coat. 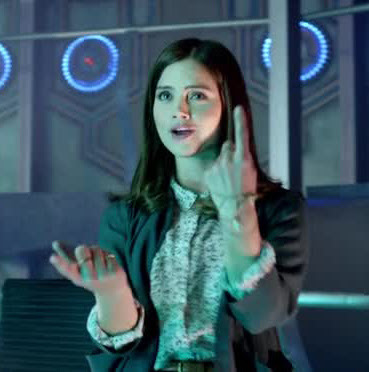 Jenna-Louise Coleman has yet to fulfill her role as a full-fledged companion. This episode sees her as a crucial character, but in a plot sense and not in a companion sense. The companion’s sidekick nature will probably get utilized in the next episode. 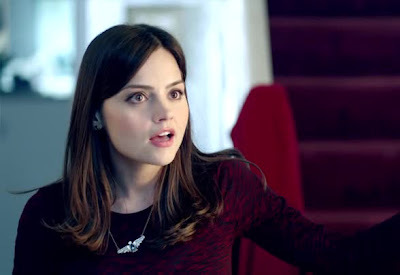 Also, Clara Oswin Oswald seems to be getting prettier and prettier. She wasn’t my type before. But somehow her hotness grows with each episode. Yes, Ms. Coleman. You may shove that finger up my sphincter.